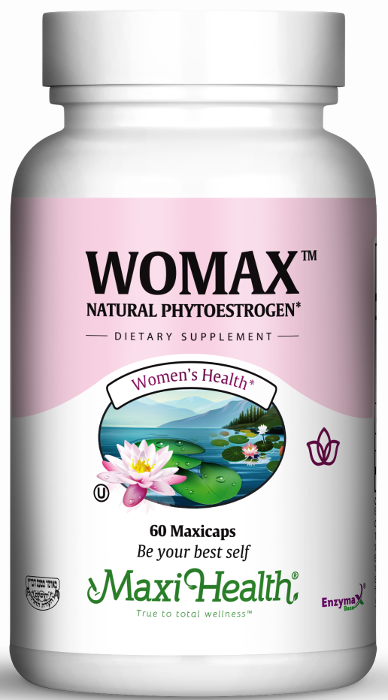 Womax is our unique formula for women that combines black cohosh, soy isoflavones, dong quai, and chasteberry. The black cohosh we use is a standardized extract. Our use of Soylife® Soy Germ extract contains a minimum of 40% isolflavones with all the Genistein, Daidzein, Glycitein, and Saponins, as you would expect. This formula also includes dong quai and chasteberry, so you have it all in one supplement .Combined with a healthy diet and lifestyle, Womax™ can help you enjoy life to the fullest. Other Ingredients: Vegetable cellulose, maltodextrin, vegetable magnesium stearate, Enzymax® (calcium carbonate, bromelain, papain, lipase, amylase, protease, silica). This product contains no animal products, wheat, gluten, sugar, salt, yeast, milk, artificial flavors, colorings or preservatives. SoyLife® is a registered trademark of Acatris Inc..
SoyLife@ is a registered trademark of Acatris Inc.